The Idaho Democratic Party on Friday said the state should investigate a publication purporting to be a conservative newspaper because they argue it is really a cleverly disguised political campaign mailer. In a letter sent to Secretary of State Lawerence Denney, the party is requesting his office look into a publication known as “The Idahoan,” which included more than 40 pages spread over two sections. The letter also demands that Denney should not be involved in the investigation because the publication’s co-editor and publisher Lou Esposito, a longtime political consultant, has close ties to the Republican politician. The periodical states that it is “written by conservatives” designed to serve as a voter guide to the upcoming May 15 primary election. The publication has endorsements of far-right candidates, advertisements from conservative groups such as Idaho Chooses Life and editorials criticizing so-called “moderate” Republicans. Most notably, the publication is sprinkled with multiple factual errors ranging from informing voters the wrong day to vote to misspelling names of candidates, to candidates misidentified in photos. It says it will only be published before an election and around legislative sessions. 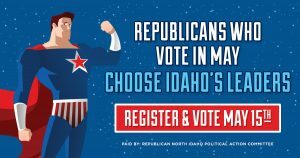 “This trickery and deceptiveness cannot be tolerated by your office, and The Idahoan and its backers should be investigated to ensure that all election and campaign laws have been complied with,” Sam Dotters-Katz wrote, the party’s attorney. Later, to the AP, Esposito denied the allegations his publication is a campaign mailer, explaining that his publications offer much more information from a variety of sources than what mailers attempt to do. Each issue — which will be published not only before elections but also before and after legislative sessions — will be focused on conservative issues that he says are currently being ignored by other Idaho media outlets. Esposito declined to say just how many of his publications were sent out to Idaho voters and who exactly is funding the effort, but hinted that the public will find out next week when political action committees are required to submit their latest campaign finance disclosure reports. Esposito is currently the chair of the Idaho Land political action committee, which has made several expensive independent expenditures to Denney’s campaigns in the past. Officials with the Idaho Democratic Party argue “The Idahoan” is an attempt to circumvent campaign and election laws by improperly classifying it as a newspaper. Newspapers do not have to comply with the state’s campaign finance disclosure laws, meaning they do not have to disclose their donors. The secretary of state’s office did not immediately return a request for comment, but had previously said they were verifying if the publication qualified as a newspaper. The business’ name used to be owned by Wayne Hoffman, head of the libertarian-leaning Idaho Freedom Foundation, but Hoffman terminated that business on April 19. Malloy, a Republican who briefly served as a substitute lawmaker in 2012, filed that day to use the same name. Hoffman told the Idaho Statesman on Thursday that he first secured the name in 2007 for use with a blog he considered starting. He instead went on to found the Freedom Foundation, never did much with the “Idahoan” business name, and agreed to formally relinquish it this spring so Esposito could use it. 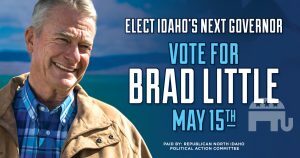 “The importance of these election and campaign laws cannot be overstated, and an investigation into whether any of these laws have been violated with this political mailer is crucial to the integrity of Idaho’s electoral process,” Dotters-Katz wrote in the letter. The Statesman’s Ruth Brown contributed.